Being a cosplayer is so much fun and a lot of hard work. You get to create things that your mind has already plastered into a form and make it real. Whether its a game, movie, tv show, comic book, or book character, you can be anything you want. I always feel that the prerequisite to cosplaying is that you know your character and you work hard at creating it yourself (or sponsor someone to do it for you). I was really excited these past few months leading up to Rose City Comic Con as I was starting to work on Peggy Carter from Captain America. On June 12th I had finished the jacket, despite feeling nauseous, and tried it on. One of the worst feelings a cosplayer or designer can ever have is making something you know is measured correctly and not fitting. That’s exactly what happened. I put on the jacket and could not button it around my waist. I didn’t understand why it didn’t fit cause I measured everything right and I hadn’t gained any weight. It should’ve worked just fine! I went into depression mode, crying, and wanting to dump the whole idea of cosplaying all together. I couldn’t believe I had screwed up so bad. I didn’t want to have to make it over again. The next day I was still really nauseous so I stayed home and relaxed, trying not to think about my costume and my ultimate failure, which seemed to make the nausea worse when i started to worry. Come Monday I was still not feeling well and couldn’t understand why. I didn’t have a fever and I wasn’t throwing up, but my stomach was spinning. I called my doctor and made an appointment for that evening. When we got to the doctors, the first thing they had me do was pee in a cup. Fun right? NO!! My husband and I sat in the room waiting for the results, which didn’t take long at all. Less then a minute! The doctor came in and sat down with us (I was the last appointment of the day) and the nurse opened the door and whispered something to my doctor. You could hear a pin drop for the next 10 seconds as I had to seriously think about what she just told us. Tears welled up in my eyes. My husband and I cried together. We had been trying for 5 years to have a baby and God had finally blessed us with this opportunity. Of course, it just had to come at the most in opportune moment for me. *Laughs* I even told myself that I didn’t want to get pregnant for at least another 2 years so I could work on all the cosplays I had planned. However, creating a child is ten times better than any cosplay creation! Now all my cosplay projects have come to a screeching halt. Am I sad that I’m not working on them? Yes, but I know that I’ll get to do it again. 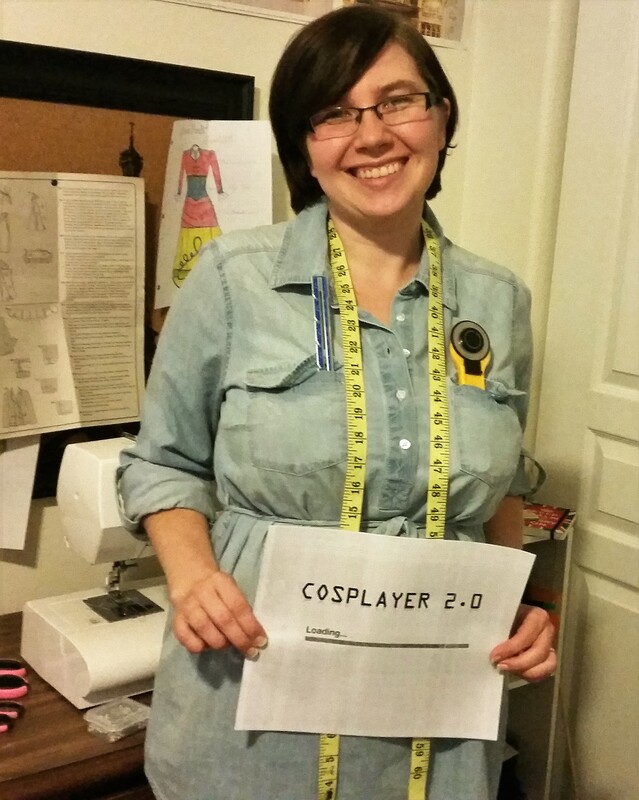 Cosplaying isn’t going anywhere, it just has to be put on the back burner for a bit. What I think of now is all the many cosplays I get to create for my baby!! God has a plan for all of this and I’m thankful He chose this time to make it happen. It reminded me that sometimes things won’t always go as I planned and they probably never will… and that is okay! So here’s to a new adventure!! !